Also serving communities of Columbia Heights, New Brighton, Brooklyn Center. There are 30 Memory Care Facilities in the Fridley area, with 2 in Fridley and 28 nearby. The average cost of memory care in Fridley is $5,712 per month. This is higher than the national median of $4,650. To help you with your search, browse the 29 reviews below for memory care facilities in Fridley. On average, consumers rate memory care in Fridley 5.0 out of 5 stars. Caring.com has helped thousands of families find high-quality senior care. To speak with one of our Family Advisors about memory care options and costs in Fridley, call (855) 863-8283. The city of Fridley, Minnesota is located in Anoka County and is home to almost 28,000 residents, 14.6 percent of whom are aged 65 and older. In a state where 94,000 seniors are currently living with Alzheimer's disease, access to care is an issue of increasing importance. Specialized dementia care can be found at memory care facilities, which are also known as Special Care Units (SCUs) in Minnesota. In addition to the two SCUs available locally, there are 48 additional options in nearby communities. As is the mission of the city to provide a safe, vibrant, friendly and stable home for families and businesses, Fridley has a low rate of violent crime. On a scale of one to 100, with 100 being high crime, the city scores 21.3, compared to an average score of 31.1 nationwide. Rates of property crime, however, are very high, scoring 60.2 compared to just 38.1 nationally. It may be beneficial for families to inquire about a facility's security policies and procedures. Like many cities across the state, Fridley's cost of living is slightly higher than it is across the U.S. Based on the national average of 100, Fridley scores 107.7, largely due to the city's high transportation and housing costs. This may be something for families to consider when budgeting for memory care services. Fridley is home to world-class medical facilities, including those specializing in brain health and dementia care such as Mercy Hospital - Unity Campus, in the event of medical emergencies or illness. While winter temperatures are generally higher than the average Minnesota city, Fridley still experiences very cold conditions. The seasonal low is 7 degrees, and an average of 54 inches of snow are expected each year. When visiting an SCU, families may want to ask about the measures that the facility takes to ensure the safety of its residents when weather conditions get harsh. Memory Care costs in Fridley start around $5,712 per month on average, while the nationwide average cost of memory care is $4,799 per month. It’s important to note that memory care rates in Fridley and the surrounding suburbs can vary widely based on factors such as location, the level of care needed, apartment size and the types of amenities offered at each community. 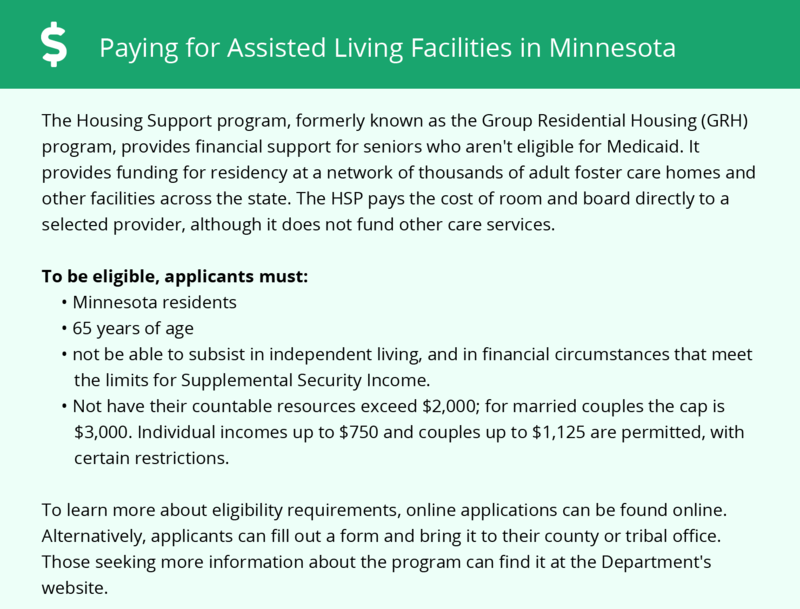 Fridley and the surrounding area are home to numerous government agencies and non-profit organizations offering help for seniors searching for or currently residing in an assisted living community. These organizations can also provide assistance in a number of other eldercare services such as geriatric care management, elder law advice, estate planning, finding home care and health and wellness programs. To see a list of free memory care resources in Fridley, please visit our Assisted Living in Minnesota page. 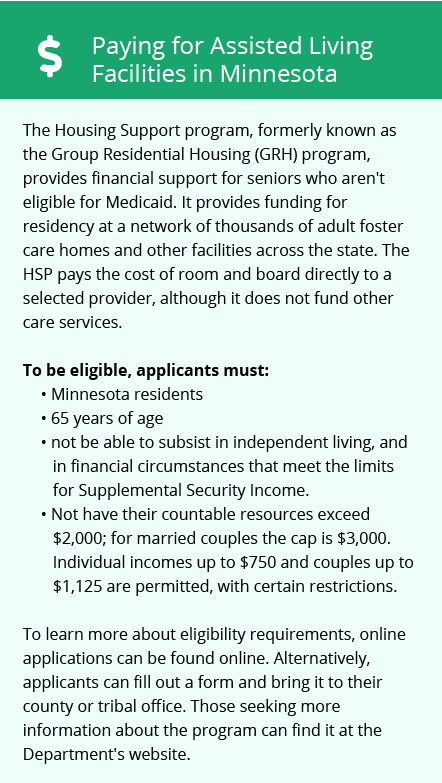 Fridley-area assisted living communities must adhere to the comprehensive set of state laws and regulations that all assisted living communities in Minnesota are required to follow. Visit our Memory Care in Minnesota page for more information about these laws.